Home > Solar Hot Water > Is The Most Efficient Hot Water System A Solar PV Powered Heat Pump? Is The Most Efficient Hot Water System A Solar PV Powered Heat Pump? Heat Pump Hot Water. Power it with Solar PV and its efficiency cannot be beaten by solar thermal. Bloody expensive though. If you are looking for the most efficient solar hot water system then solar PV panels powering a heat pump are hard to beat. While both the panels and heat pump will need to be proficient performers, it is possible for the combination to beat solar thermal hot water which is widely considered the most efficient method. A typical heat pump hot water system is 3 times more efficient than a conventional electric hot water system that uses electrical resistance heating. This is because rather than using electricity to create heat, they use electricity to move heat around. Heat pump hot water works in exactly the same way as a refrigerator does, aside from the fact they work in completely opposite ways. That is, a refrigerator pumps heat out to keep what’s inside cold, while heat pump hot water pumps heat in to keep what’s inside hot1. Because heat pump hot water systems conserve energy they are eligible to receive Renewable Energy Certificates called STCs that lower their cost. While these are the same certificates that are received for installing rooftop solar, the number received is determined differently. Despite this apparent surfeit of dead albatrosses slung around heat pump hot water’s neck, I am confident the technology will improve and we are likely to see an increasing number of heat pump hot water systems in Australia. What The Hell Is A Heat Pump? 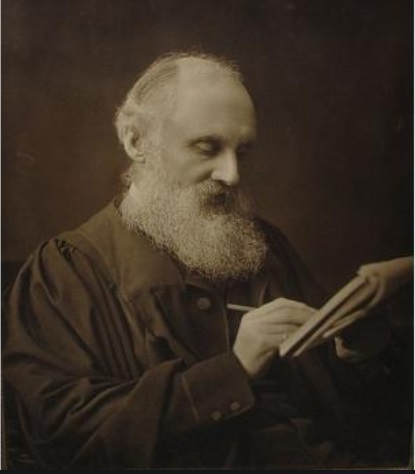 In 1852 Lord Kelvin worked out the mathematics of heat pumps and, as a result, had the Kelvinator refrigerator named after him. But — and this is an important point — not right away. He had to wait until he was dead for 7 years before that happened. 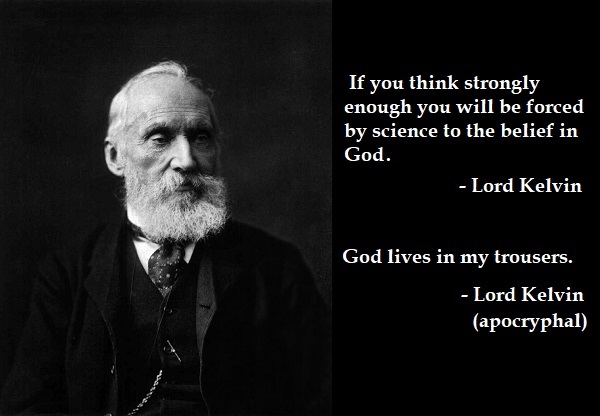 “Dear world — I, Lord William Thomson Kelvin, have won wide renown as the greatest scientific mind you have known since the days of Newton. In return for the scientific advances I have made, I would like a refrigerator named after me — The Williamator. The first heat pump was built in Austria around 1856 by Peter Ritter von Rittinger2. He developed a practical method of taking advantage of how gas heats up when compressed into a liquid and cools down when it evaporates to move heat around. This meant heat could be moved into a confined area, such as with a heat pump hot water system, or out of a confined area such as with a refrigerator. Household air conditioners are capable of either and can move heat out of a home in summer and move heat inside in winter. Heat pumps can exchange heat between water, the ground, and air. In Europe, where the temperature can drop to -30ºC just to punish people for not living in Australia, ground heat pumps are very common because the ground a few feet down is a hell of a lot warmer in winter than the air. But in Australia where temperatures rarely reach freezing, almost all heat pumps use air and these are simply called air sourced heat pumps. Occasionally heat pump hot water systems are referred to as solar heat pumps because 99.98% of the heat they pump originally came from the sun3. But I think this misleading as they don’t require sunlight to operate. After all, in winter almost all the heat an air conditioner pumps inside your home originally came from the sun and no one ever refers to it as solar air conditioning. These days heat pumps often use carbon dioxide (CO2) as their working fluid4. While CO2 is a greenhouse gas, the total amount is usually less than one kilogram, which is around how much is emitted from generating one kilowatt-hour of electricity from coal, so there is no need to worry about your heat pump roasting the planet if it leaks. As long as it displaces more than one kilowatt-hour of coal generation over its lifespan you’re golden. Also, one kilogram of CO25 is not enough to be dangerous to your health unless it is in a very confined space, such as your lungs. The heating element in a conventional electric hot water system transforms 100% of the electrical energy it uses into heat and transfers about 98% of that heat to the water in the storage tank. That’s close enough to 100% for me6. But it can be far more energy efficient to move heat around instead. On the right hand side within the far reddish rectangle is the power input for heating in kilowatts of electricity. Next to that is the capacity output in kilowatts of heat. So the air conditioner can take 0.86 kilowatts of electricity and use it to move 4.45 kilowatts of heat inside. That’s a ratio of more than 5 to 1. But below the 4.45 figure you’ll see it says the heating capacity at 2 degrees is only 3.6 kilowatts, reducing the ratio to 4.2 to 1. This is because the colder it gets, the less effective the air conditioner’s heat pump is at moving heat inside because of the greater temperature differential. Unfortunately, heat pump hot water systems are not likely to be as effective as this air conditioner. For each kilowatt-hour of electricity they consume they will generally provide around 3 kilowatt-hours of heat, making them 3 times as efficient as a conventional electric hot water system. The exact efficiency will vary through the year, because the greater the difference between the air temperature and the hot water temperature, the lower the efficiency. If you look at information about heat pump hot water systems online you will often see they generally claim to be more than 3 times as efficient. Unfortunately, this may not be the case. A commonly given measure of efficiency of heat pump hot water systems is their Coefficient Of Performance or COP. This is a straight forward measure. If a heat pump uses 1 kilowatt-hour of electricity to provide 3 kilowatt-hours of heat it has a COP of 3. If it uses one kilowatt-hour of electricity to provide 4 kilowatts of heat it has a COP of 4. Most heat pump hot water systems state they have a COP of 3 to 4.5 or even higher. But a COP of 4 doesn’t mean it will only use 25% as much electricity as a conventional hot water system. This is because it will use energy for more than just operating the heat pump. For example, when it is very cold ice will form on the outside exchanger of a heat pump and it may need to be defrosted every few minutes. This either requires energy to power heating elements to melt the ice, or more often the unit will be designed to switch to using a standard heating element to warm water and so in cold temperatures it will function as a conventional electric hot water system. As the highest hot water consumption occurs during cold weather, their reduced efficiency at low temperatures and their habit of either spending energy to defrost or simply giving up on operating as a heat pump, can considerably increase the amount of electricity they use. The “Delta-T” at the bottom of the graph is the difference between the air temperature and the collector temperature and is likely to average at least 40 degrees. 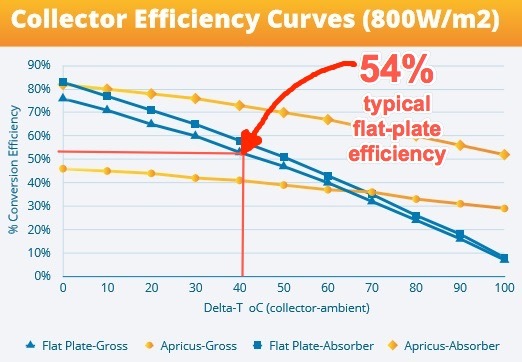 If we assume it is 40 degrees then the highest efficiency by gross collector area is around 54% for flat-plate solar thermal. Heat pump hot water can be more efficient than this, although it often isn’t. New solar panels these days are typically around 17% efficient and by the time the electrical energy they supply reaches a heat pump it is not uncommon for various losses to have reduced their output by 20%. This will knock the effective efficiency of 17% panels down to 13.6%. If a heat pump provides 3 times more heat than a conventional electric hot water system the total efficiency will come to 41%. 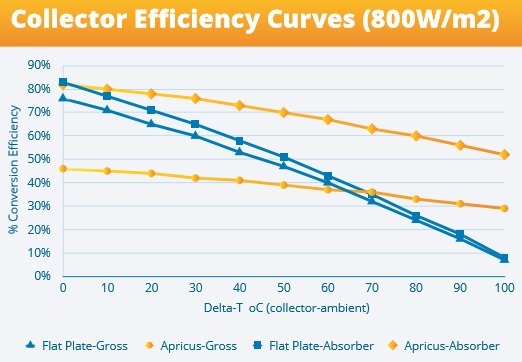 But if very efficient panels are used, such as SunPower’s X-22 panels that are 22.1% efficient, then even if losses drop that down to 17.7%, when used with a heat pump that is 3.5 times more efficient than a conventional hot water system the total efficiency will be 62%. So for people who don’t mind paying for premium panels, using them with a high efficiency heat pump hot water system can be the most effective way to make use of limited roof space. While heat pump hot water doesn’t generate electricity like rooftop solar, it does reduce its use compared to conventional hot water systems and a kilowatt-hour of electricity saved is as good or better than a kilowatt-hour of clean electricity generated. For this reason, heat pumps qualify to receive Small-scale Technology Certificates or STCs as part of Australia’s Renewable Energy Target. This page will let you download a list of all the approved heat pump hot water systems and the number of STCs created when they are installed. If you want to know exactly how many STCs a system will receive, you can go to this page and enter its brand, model, and the postcode it will be installed in. The number of STCs received depend on how much electricity is likely to be saved by a system in each zone and this is affected by amount of hot water people use and by its efficiency there. So in zone 1 heat pump hot water operates efficiently all year round because it never gets really cold, but people there don’t use a great deal of hot water on account of how it never gets really cold, so zone 1 receives less STCs than colder zones. 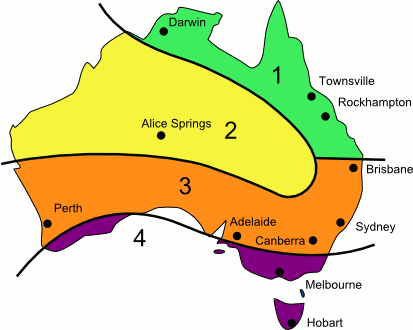 What isn’t shown on this map is special zone 5 which is only in the Snowy Mountains and mountains of Tasmania. These are the coldest places in Australia and you might think they would get the most STCs because hot water use there is likely to be the highest. But because heat pump hot water will often operate with lower efficiency there, zone 5 can receive fewer STCs than zone 4. The number of STCs received will be cut by one tenth at the start of 2022 and cut each year after that until they are phased out entirely by the end of 2030. I recently wrote about putting conventional hot water systems on timers so they will switch on during the day when they will hopefully be able to take advantage of surplus solar electricity that would otherwise go into the grid and receive a feed-in tariff. It is easier to run heat pump hot water systems off surplus solar using a timer because they usually draw only one kilowatt or less, which is around half as much as even the smallest standard heating element used by conventional electric hot water systems. This low power draw makes it much more likely rooftop solar will provide enough power to run them without needing to dip into grid electricity. Because the average temperature is higher, heat pump hot water will operate more efficiently when run during the day and will be much less likely to need to waste energy defrosting or operating as a conventional hot water system. Heat pump hot water also has the advantage of generally coming with their own built in timers. Besides setting them to turn on when a surplus of solar electricity is likely, they also allow households that are on time-of-use tariffs take advantage of low cost off-peak power. Solar hot water diverters that send surplus solar electricity to the heating elements of conventional hot water systems cannot be used with heat pump hot water. The type of current they supply is not compatible with pumps or electronics and may damage them. 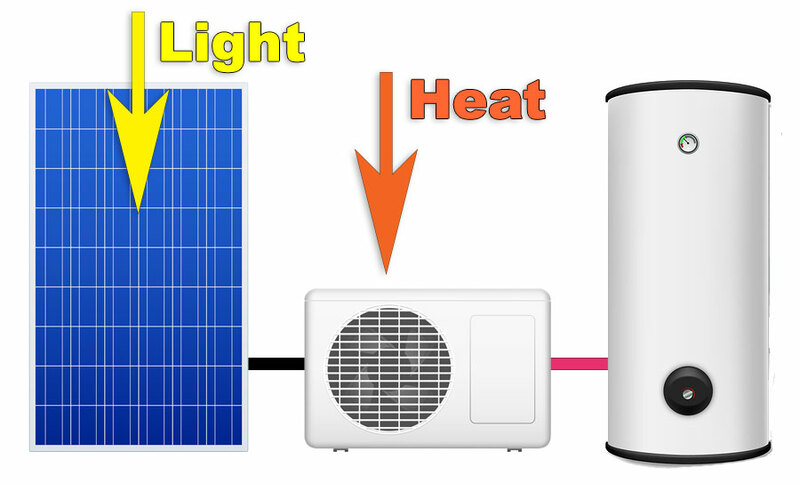 Devices that can send normal household AC power to devices when there is sufficient surplus solar energy to operate them can be used with heat pumps. Examples are the Fronius relay and SunMate diverter. These devices also permit users to select minimum activation times and activation delays after the surplus solar power threshold is reached to prevent clouds rapidly turning the heat pump on and off. Heat pump hot water systems can be used with controlled load tariffs, which are also known as economy tariffs. Note there are some systems where the manufacturers recommended they have access to electricity for more than 8 hours a day, which can make them unsuitable for most controlled load tariffs. No matter what method is used to power a heat pump hot water system, it is a matter of life and death that the storage tank reach a minimum temperature of 60 degrees every three days to control dangerous microorganisms such as Legionella. An installed heat pump hot water system is likely to cost $2,500 to $4,500 including the reduction in price from STCs. Households in Victoria can also receive Victorian Energy Efficiency Certificates or VEECs which are worth approximately $500 when replacing an existing conventional hot water system. The total cost is often at least 2 to 3 times as much as an equivalent conventional electric hot water system. Warranties for heat pump hot water systems are often horrifically short and may be as little as one year. The longest I have seen is 6 years. While they may have much longer warranties on their storage tanks, that is not the part that is likely to break down. Their short warranties suggest their operating life cannot be expected to be long and combined with high initial cost and high cost of repairs, many people don’t consider them an attractive investment. Some heat pump hot water systems generate a considerable amount of noise. The quietest I am aware of is the Sanden Eco Plus which operates at 37 decibels. This is as loud as a quite fan operating a low speed, which shouldn’t be surprising because that is exactly what makes the noise it produces. Because they are similar in operation and power use, most heat pump hot water systems make noise comparable to room air conditioners, which can range from a mild hum to a mild cacophony7. Some manage to be so loud they have been banned from operating at night so they won’t disturb the neighbors. The most cost effective location in Australia to install a heat pump hot water system is likely to be Western Australia. This is because controlled load tariffs that lower the cost of using conventional hot water systems are no longer available and the cost of electricity is high. In Perth the large majority of households use natural gas hot water systems. But if there was a family that, despite the warm climate, was a very large user of hot water and had a conventional electric hot water system, they could potentially reduce the number of kilowatt-hours they use to heat water annually by 1,500 with a heat pump hot water system. If all their electricity came from the grid it could save them $400 a year. Elsewhere in Australia the savings generally will be far less. 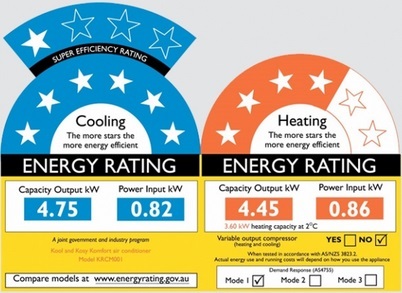 If my parents in rural Queensland were huge users of hot water and were able to cut annual electricity use by 1,500 kilowatt-hours by installing a heat pump hot water system, as their hot water system is on tariff 31, they would save around $260 a year. Elsewhere in Australia where controlled loads are usually lower and feed-in tariffs sometimes higher, the benefit is likely to be even lower. While the economics of heat pump hot water are not yet favorable, it can provide considerable environmental benefit by either greatly reducing the amount of fossil fuel a home uses to heat water, or alternatively by freeing up rooftop solar generated electricity to be sent into the grid where it will reduce fossil fuel generation. But many households will find they will be better off economically and provide greater environmental benefit by using the money to instead install a larger rooftop solar system than they would have otherwise. Those who have already installed as large a solar system as is practical may find heat pump hot water an effective way to further reduce emissions. There are many people who will find that worthwhile even if the return on a heat pump hot water system is extremely low or even negative. While heat pump hot water hasn’t been a roaring success in Australia so far, in the future its prospects may improve. The amount of STCs it receives won’t start to be reduced for over 4 years and in this time costs are likely to fall and reliability improve. A number of nations overseas are working on improving heat pumps and we will benefit from their efforts. But one drawback I can see for heat pump hot water is that the cost of operating conventional hot water systems may fall as as the cost of rooftop solar continues to decline and increasing renewable generation puts downward pressure on controlled load tariffs and the off-peak rates of time-of-use tariffs. those heat pump hot water systems seem dead in the water.i was going to install one, and then after reading the amount of negative comment i decided it was a waste of money and did not justify the extra cost. They seem just a niche as most reviews claim inefficiency, cold water, noisy and so on ….just not worth the trouble at the moment. I fully agree with you Eric. I’ve been through 3. The first one packed it in within a week, the replacement second lasted about 3 weeks, and the third chugged away until the warranty period expired and then expired about a year after that. In my darker moments I wonder if there’s some ‘planned obsolescence’ by the manufacturer going on. They’ve used heat pumps in NZ for decades and they seem to function fine over there. They’re not worth the trouble. Get more solar panels instead. I now use a stock standard 250 litre hot water heater on a relay timer, which means that a fair proportion of the power needed for hot water ends up coming from my panels. Had to fiddle a bit with the turn-on time for the relay timer and change our consumption patterns for cooking and dishwasher etc a little, in order to maximise self-consumption. Basically, if you set the relay timer so that the hot water system draws power during peak production times and work your other consumption outside that period as best you can, you do get a noticeable benefit. The hot water cylinder and heater will probably last about 10 years or more (that seems to be the ‘norm’). Our hot water system is 3.6 kw that was already in place before I got solar panels, Initially, it was using 5 kw a day, that’s now down to around 2 to 3 of billable usage with the rest coming from our solar system. A heat pump would probably drop the total usage to 1 kw, but the economics simply don’t stack up, and evacuated tube approach is at present not worthwhile unless maybe you have to replace the hot water system anyway. My general advice would be to get more solar panels if you don’t have a 5 kw system already, and change consumption patterns. Also – I wouldn’t ‘fixate’ on just hot water costs. What matters most is to maximise your overall kwh self-consumption while at the same time minimising your billable kwh consumption. That usually means you have to make ‘changes’ from time to time in response to seasonal influences and your own varying patterns of usage with items such as pool-pumps, air-conditioners, electric heaters, dishwashers, cooking etc. .
One thing you didn’t mention is the relative area on the roof taken up by either solar thermal collectors or PV panels. I haven’t done any calculations but based on my own installation (of both of these) I would guess that the PV needed for water heating would require more space than the thermal collectors. This becomes an important issue it roof space is limited. Hi Rod. Normally flat plate solar thermal will beat using PV panels and a heat pump, as far as roof space is concerned. But high efficiency panels used with a high efficiency heat pump hot water system can beat flat plate collectors. What about solar thermal collectors with heat pump back up? Heat Trap Solar has this system available and it includes a synthetic low pressure storage tank reducing the problem of tank corrosion and other maintenance costs. As I understand it, Heat Trap Solar systems attract the highest level of rebates under the RET. This is an incredibly energy efficient system, and because the heat pump should only need to operate occasionally, hopefully that will result in it lasting a long time. Unfortunately, these kind of systems are pricey, even with their high number of STCs. But they could definitely appeal to people who are looking for the best efficiency they can get. Apropos combining heating and refrigeration, I’ve for some time been planning to put something like the Bolt-On heat pump up in the roof space so it cools up there using the same input energy which is heating the water. Insulation blankets at the ceiling joists and between roof and sarking should allow the oven-like summer simmer to be dropped significantly, reducing the power requirement for an air conditioner below. What of winter? The wood heater and over 100 Ha of forest take care of that. Some heat pump manufacturers require acidity reduction if used with tank water of pH < 6.0, if the warranty is not to be voided. That appears to be little more than a tube filled with limestone chips, or similar, so it doesn't seem to be a big deal. A little lime is good for the garden, if the greywater is used there. That Sanden's noise level is the best I've seen. (But compare it with a spiffy glass kitchen rangehood: 54 dB on speed 1 (of 3). I'll be looking for the best quality compressor, in pursuit of maximum durability. What you seem to ignore , from the Apcicus chart you show is that the evacuated tube at the temperature you use is about 72% efficient. Far better then what a premium solar panel will give you plus a heat pump according to your calculations. So if you want to argue that solar electricity using a heat pump is more efficient you may want to revise your figurers. The line on the graph you are looking at is for the evacuated tube absorber only. That makes up less than 60% of the area of an evacuated tube system. To get the figure for the entire area covered by the collectors you need to look at the lines for the gross amounts. The best engineering solution is always to keep it as simple as possible. This is achieved for solar hot water by using a remote tank and pump and a suitably sized and designed panel. 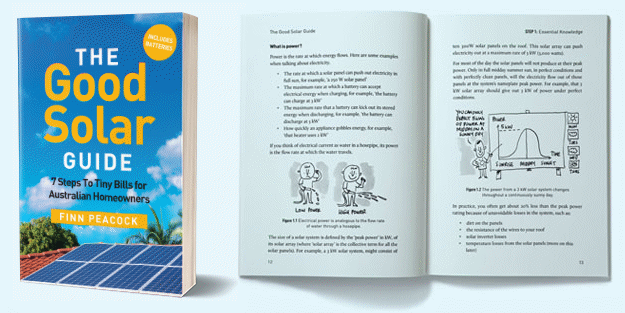 By adding a heat pump to a solar PV system is the exact opposite to simple. It is the most complicated option and the performance benefits may not necessarily be better than solar thermal. I understand that mine is just one view and that there are many ways to skin a proverbial cat. A single unit is inadequate in Victoria in winter, needing supplementation from the grid or a wood heater; and the roof area cannot power other loads when it’s not used for heating water. (Winter: all the time, given a wood heater. Summer: after lunch.) The space is then wasted. With array output only 1/3 in winter, having the extra utilisable array area all day in winter is better use of limited roof area, especially when off-grid. During the last week or so of very cloudy weather our 4.59kW solar PV has easily handled the load of charging the hotwater and running a 3.5kW reverse cycle aircon at 23.C all day long. Total daily cost of running has been around $2 a day plus daily supply charge. We had gas hot water prior to the heat pump and I know which method I now prefer. I have a Bosch Compress 3000 heat pump that cost $1830 installed after STCs. This is only marginally more expensive than an equivalent resistive hot water system. So far it has worked flawlessly. It can run down to -7 degrees on heat pump mode only, but also has a backup 1600W element. But the best part is that the element can still heat the water if the heat pump unit is no longer serviceable. So, even if the heat pump dies just after its warranty expires, I can still use it as a conventional hot water system. For the marginal cost difference, it was a no brainer to choose the heat pump over a conventional heater. (My roof is full of panels so not able to add solar hot water, but even if I could, the competitive price of the heat pump wins out anyway). That’s a good point that is can be possible to run a heat pump hot water system as a conventional hot water system after its heat pump dies. Its 1.6 kilowatt element is small so it may not suit some households. It will take 8 hours for a 1.6 kilowatt element to heat its 270 liter tank from 20 degrees to 60 degrees. Fortunately the normal controlled load period is 8 hours, so, with heat losses, that would almost be enough to fully heat a tank in winter. I’ve recently replaced a 1.8kW, 120L electric storage tank with a 275L Hydrotherm heat pump system. We’ve more than doubled the amount of hot water we can make and store, using 10% less power and selling 10% extra back to the grid (those are Winter figures too, Summer will be much higher). Whilst that doesn’t sound a lot, imagine the same scenario if we had a 4kW electric storage tank instead! We run the Fronius smart relay so this is all under solar power except for a handful of times each year when the required 800W of excess solar doesn’t get generated throughout the day. I will say that I was concerned about all the bad reviews that heat pumps seem to get but then I found the Hydrotherm. They have some of the longest warranties (if not the longest), the customer service was amazing and I spoke to several plumbers about them and they all said the same thing – they all ran one, they install them for their family and friends and they don’t recommend anything else. Time will tell on the longevity of the system but for now, I’m extremely happy with the decision. So in terms of using excess solar PV energy – am I correct that a Fronius relay (with smart meter) is able to help prevent the heat pump regularly cycling on and off during days where the solar PV panels are frequently tipping above and below the threshold power level? (eg. 2kW). Before I read your article I started wondering whether using the simple timer option would be a better option (despite being less efficient) if using a smart meter risked wearing out the heat pump due to regular cycling on winter days. That’s correct. And my understanding is you can set the relay to threshold level where it will switch on the heat pump can be lower than the level at which it turns off, so there can be a safety margin to prevent rapid cycling there. I have a sanden eco plus (new model, COP of 5 (under test conditions)). I cannot hear it when it’s on. Fan points at solar panels to cool them down. They now have a 6 year warranty (15 years on the tank). I have set it via inbuilt timer to run in middle of the day when my PV is running at its peak. This also eliminates freezing likelihood. My experience to date is that it uses 1kW/hr for about 2 hours per day (slightly more in middle of winter, less in summer). In inner Melbourne, 315L tank. If I didn’t have PV, it would cost about 40c per day for the hot water. With PV, it’s free. And given the low usage (1kW vs 9.86kW DC PV system), it’s highly unlikely to ever draw power from grid. Only risk I can see is that it fails (and they do, I realise that) and will need repair. I take that risk for the ability to live with a very low power usage house (electric only, gas abolished). The Sanden Eco® Plus Hot Water Heat Pump is different to most heat pumps as the refrigerant (CO2) is held under much higher pressure than other heat pumps. This produces some interesting results as the COP of the unit at 20 deg is 5. The unit becomes less efficient as the temperature rises above 25 deg which is not how other heat pumps respond to Australian conditions. This has consequences: if you are running a Sanden unit off your Solar PV system, you may want to look at WHEN the unit is running. As the optimal time of day to run the unit will be earlier in the day in Summer and may be in the afternoon in Winter, depending on where you live. To work this out, one should note the temperature (where the unit is located) through the day and monitor this over a few days. Then set the timer on the unit to correspond to match the optimal temperature conditions. The aim is to have the unit in the ‘sweet spot’ as often as possible to use the least power. You would still be mindful not to set the unit to run too early, as you must provide 1kw of power continuously for the unit to run as designed. It is a mix between when your solar system is ‘online’ and when the temperature is optimal. Then fit a two hour window around that. Thanks for the great article Ronald. I’m considering installing a Chromagen 280 litre hot water heat pump in a new house build in Denmark, Western Australia and like the idea of connecting to a Fronius inverter and smart relay with premium PVs (funds permitting!). Is it possible for a heat pump to be connected directly to a DC PV system, or does it have to be AC managed through an inverter/relay such as the clever little Fronius? I want my heat pump to get my PV generated electricity rather than being ‘fed’ by the expensive grid. I’m mindful of your comment that diverters won’t work with hot heat pumps given their fancy electronics. Heat pump hot water systems need to run off AC. It is possible DC units exist, but I am not aware of any. The 280 liter Chromagen apparently uses less than 1 kilowatt when using its heat pump, so provided you have a large solar system one option would be to just use a timer and hope you’ll have enough surplus solar power to run it. If you don’t and it needs to use grid electricity, then it won’t use much. It does have a 3 kilowatt heating element that it will use when the air temperature drops below 5 degrees, but that rarely happens in WA, especially if you are running it during the day. I’m afraid its warranty isn’t fantastic, but I assume you are okay with that. Can you point me to a reference for the 280L Chromagem using <1kW? All I could find was a reference to 2kW input power on their web site (actually 2.15kW in the specs document). Which shows 1 kilowatt of electrical power draw by the heat pump produces 4 kilowatts or more of heat. But looking further I see that is misleading as further down it says the heat pump can only provide 3,000 watts of heating so the heat pump should only draw around 750 watts. But note the system can draw power for things other than the heat pump, such as deicing its coils and it also has a heating element for use in very cold temperatures when the heat pump may no longer be effective. I haven’t seen any information on Chromagen running at 1KW, maybe Ronald meant the Sanden Eco pump? We ditched the Chromagen after hearing about their tendency to fall over close to the 5 year warranty; also chews up the power when the element comes on. We went with the Sanden Heat Pump EcoPLUS and included the water filter & calcium cartridge – its more expensive, quiter but should last us longer here in the south coast where water has a lot of calcium carbonate. I just got the information that Sanden does not have any dealers in WA due to water quality. That’s out of the question than. I have a Chromagen now. It uses around 900W or so – indeed under the 1kW mark as Ronald was thinking. No problems, thus far, after about 9 or 10 months. I basically never see it drawing more than my 5kW system can produce anytime of the year (but see below), unless I’m running the oven, washing machine, etc simultaneously. Interestingly, its own controls let you set a timer operation, but the tank overrides this occasionally (I think to heat above 65 deg C to sterilise), sometimes in the middle of the night! But mostly it runs between 9.30-15.30 according to my program. When it does its overheat/sterlise thing, it appears to sometimes use the immersion heater, so then it can draw around 3.6kW, if I recall correctly, but only for short periods. In short, my tank is drawing something like 95% (my guesstimate) of its power off my panels and not the grid, which is more or less what was after. You get what you pay for. Sanden is more expensive than other brands but better quality. According to Sanden, their heat pump has an expected life of 15 years (warranty 6 years on heat pump 15 years on tank). You may not have heard of the company before but Sanden provide aircon to car manufacturers as well as refrigerated vending machines. Since 1943. Most complaints I saw when I was researching heat pumps 2 years ago came from cheaper brands. However, the technology has improved a lot too so heat pumps are more reliable than 5 years ago. I used Pathfinder plumbing in Brisbane. Neatest plumbing job I have ever seen. The guy knows his stuff. Highly recommend if you live in the Brisbane area. I agree with you that the Sanden Eco (now PLUS!) heat pump offers longer warranties on its tanks and pumps compared to comparable brands. BUT not all things are equal. Take for instance Denmark, a coastal town in WA. Its water quality exceeds others in terms of shires and towns including Perth suburbs in terms of chloride (mean of 301.25 mg/L according to latest water authority ‘aesthetic’ data). This figure invalidates Sanden’s recommended water spec of chloride not to exceed 200 mg/L – so goodbye warranty! Albany Solar recommends the Chromagen Midea heat pump given these water conditions (anode lasts longer apparently; they ditched the Stiebel Elstrom because of corrosion issues). Guess it makes sense to also talk to local installers and plumbers when considering PVs and heat pumps as not all devices work across all conditions according to the product specs. Sorry if his wife s a rookie question, but is it possible to also use hot water produced by a heat pump to heat a house using wall mounted hydronic heating panels? Definitely possible, but quite expensive to set up. The lifespan of heat pumps is an issue, but if you are only using it for half the year that might stretch out its operating life. Would love to have a table / matrix of the available heat pumps in Australia, including COP, litre storage, $ cost, warranty, etc. I currently have the Sanden Heat Pump 315l since May 2015, I have it set to come on at around midday to use my solar pv. It’s very quiet and works fine in the middle of winter. I have a Sanden heat pump and solar panels, and am very happy with it after 2 years. It seems to me that there is an important argument missing here, especially when limited by suitable roof space. When there is more sunshine than needed with a straight solar hot water heater, the water reaches temperature early in the day, and then the excess solar radiation cannot be used, and must be dissipated somehow to avoid boiling. With solar-heat pump, once the water is “hot” the excess energy is sold to the grid. I have limited exposed roof space, so having fewer solar panels to make room for a solar water heater is not attractive. We went with a Sanden heat pump watee heater with natural refrigerant (C02). Its got a high coefficient of performance of 4.5 and is quiet whwn the fan cones on (37 decibels). Our water quality is poor here in Denmark WA and Sanden insists on a filter being installed to take out salt. We have a UV filtration init from the rain tanks to help too. Check oit their warranty in your location and make sure your insatller is acctedited to fit thr pump and service it. Some plumbers havent a lue when it comes to thr filtration units. I have contacted Sanden regarding an installer and they said they don’t install in WA because of the water quality. Must be new. When did you get your unit? Sounds right. We got our Sanden pump October 2018 from Solargain in Albany. I believe they got it ordered from the eastern states given Sanden wont supply directly. I understand DSR Energy here in Denmark are Sandens accredited installers. Well, I am not in Denmark, I am in Goomalling. I guess there are enough other ones to choose from. I still have some time to do the research.